A Mom wants to know why the schools are no longer teaching handwriting. Dr. Linda explains the reasons schools don’t promote writing even though recent research shows how important legible writing is. I’m disappointed that our son’s school is no longer teaching what we used to call penmanship. Nathan, a 3rd grader, has poor eye-hand coordination and lousy writing. The little bit he writes instead of using the computer keyboard is simply unreadable. Maybe I’m old-fashioned but shouldn’t he be learning to write, not just print, and legibly enough that it can be read? When I was in school we practiced and practiced writing. Just because we have computers now, I still think writing is important. I agree with you that children need to learn both printing and cursive writing. And they need to learn how to use a keyboard on a computer or mobile device also. It’s not one or the other. To start with your last question, “why are some schools no longer teaching writing,” we need to look at the Common Core State Standards which most states have adopted. The Common Core mandates proficiency in math and reading with rigorous and frequent testing along the way. It doesn’t promote writing. However, it doesn’t say penmanship can’t be taught. Teachers are under a lot of pressure to make sure their students get the highest scores possible on the standardized reading and math tests. This pressure has resulted in dropping subjects and activities that aren’t being tested. Music, art, and sometimes even physical education were the first to go. Now it’s practicing writing. Unfortunately, the school districts and school principals making these decisions aren’t aware of the recent research focusing on how handwriting boosts memory, cognitive skills, and learning in general. The New York Times recently reported that researchers have found that handwriting boosts learning by promoting cognitive development. In other words, reading, writing, and even working memory improve when kids not only write but write legibly. This means that kids who write and write well may do better in school in any subject that requires reading and expressing ideas by writing. 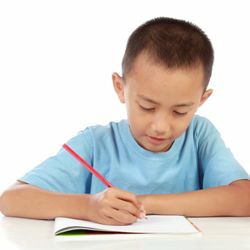 In the study, when kids composed text by hand, they consistently wrote more words faster than they could type and expressed more ideas. Writing is multisensory which explains one of the reasons why it’s so important. We know that mutisensory learning is one of the most effective ways to learn. Scientists have discovered that writing encourages functional specialization. This brain specialization integrates touch, movement control, imagination, and thinking. Of course, you can go to his teacher or principal to express your concern, show them some of the research, and ask them to include writing practice. But you may not get them to change. Remember that the pressure from Common Core testing lies behind many curriculum decisions. If you can’t get Nathan’s school to change, you can promote writing at home. The trick is to make it fun. 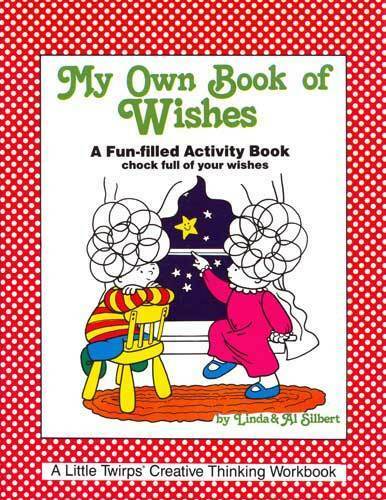 You could write short fun letters back and forth to each other. He could copy the grocery list and if you can read it, he gets a special treat at the store. To help with hand-eye coordination and improve legibility, look for free cursive writing practice sheets online. Writing in different colors is helpful too, and it makes it more interesting for the student. Try a variety of writing implements: pens, pencils, and markers. Is there one that he prefers? If so, have him practice with that one. Some kids who have poor handwriting will do better if allowed to use a medium-tip marker and large-lined paper, at least for practice. Be sure to read my post, “Handwriting without Tears” for more about writing. P.S. 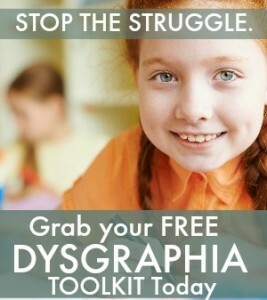 I recommend my complimentary “Dysgraphia Toolkit.” Nathan may not have dysgraphia but the activities in the toolkit are fun and effective. Download it today. Could you please help me and introduce some articles. What a good idea. Unfortunately I don’t have any specific suggestions for you. 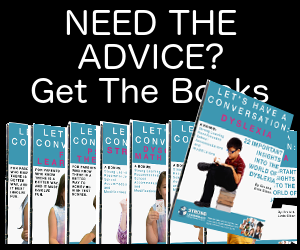 I suggest you take a look at websites that discuss both dyslexia and dysgraphia where you may find some articles. I am a private Tudor and will begin working with a six year old boy whose mother hired me to work with him on his writing. I’m not a teacher by profession but a retired nurse with experience tutoring my own children and teaching adults. Like the information in the Toolkit and look forward to finding and utilize strategies that are fun!